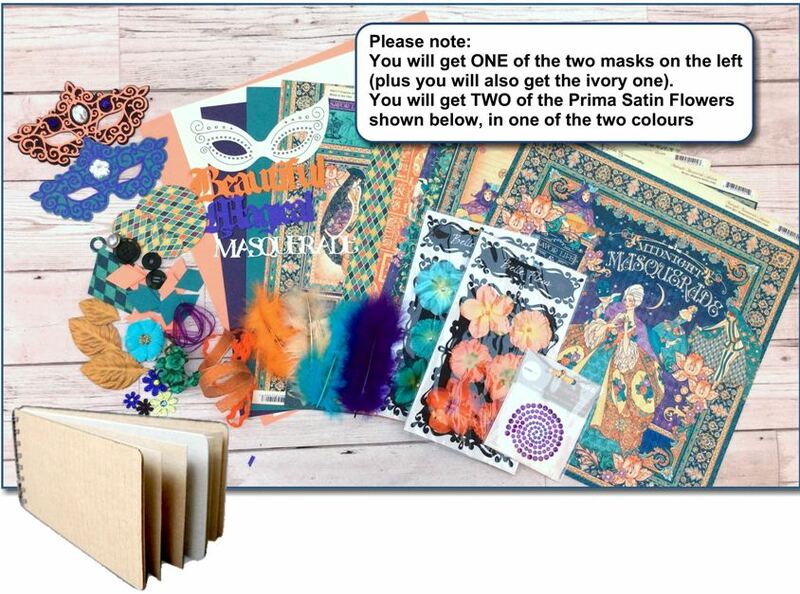 This kit is based on the wonderful "Midnight Masquerade" collection by Graphic 45, and comprises patterned papers from that range, as well as corrdinating cardstock and embellishments. 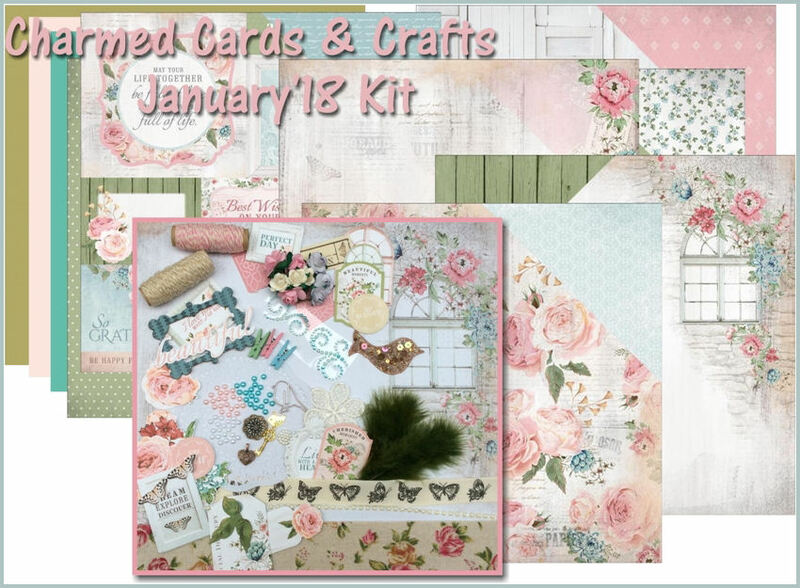 You will also get a mini album in the kit, with a project example emailed through to you. 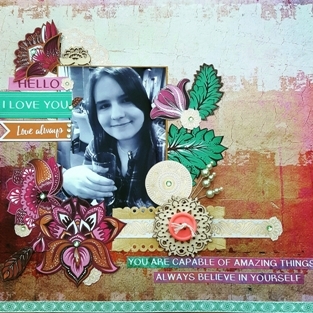 1 Polished Pebble Imaginisce Brad. 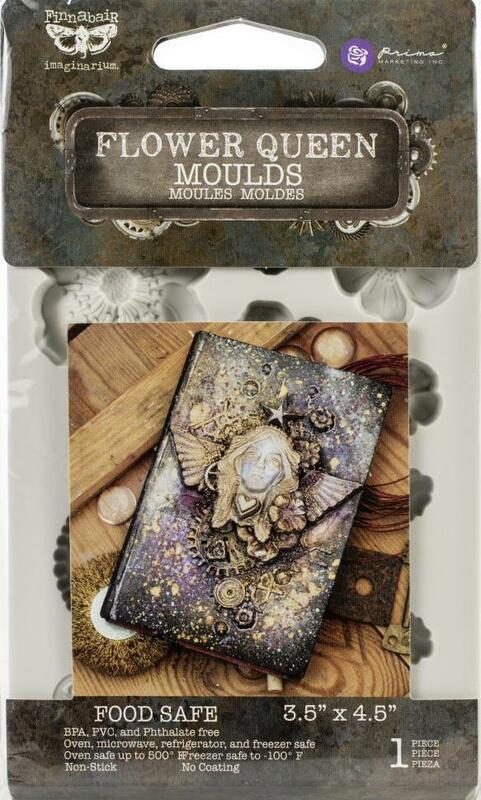 1 x 4.5" x 8.5" Spiral Bound Bare Booklet Mixed Media Album. 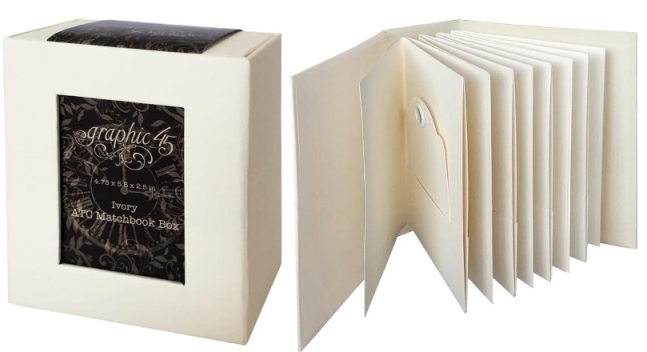 This album comprises corrugated board covers, 4 kraft policy envelopes and heavy weight chipboard separator. 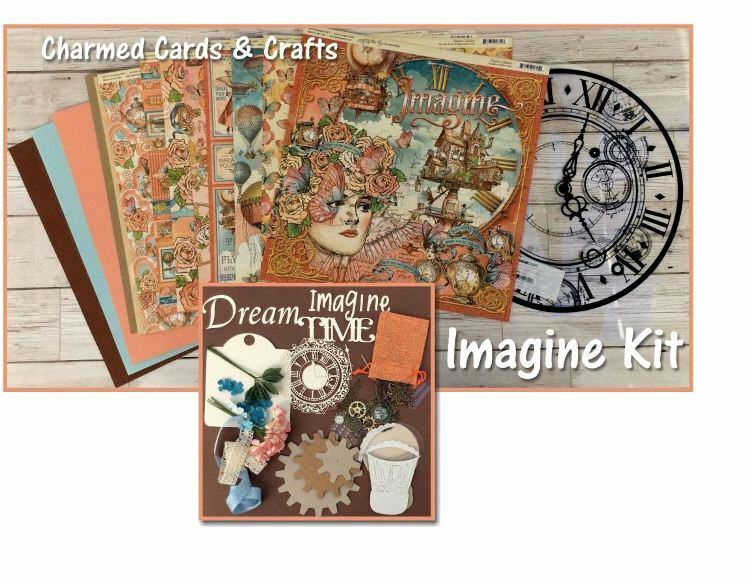 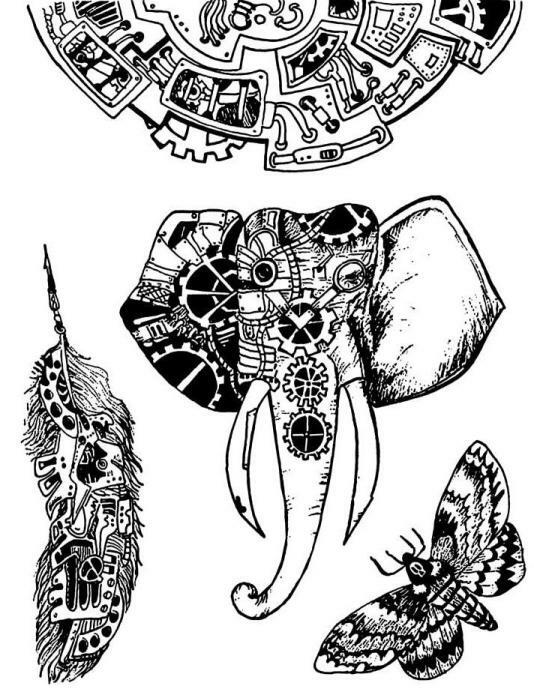 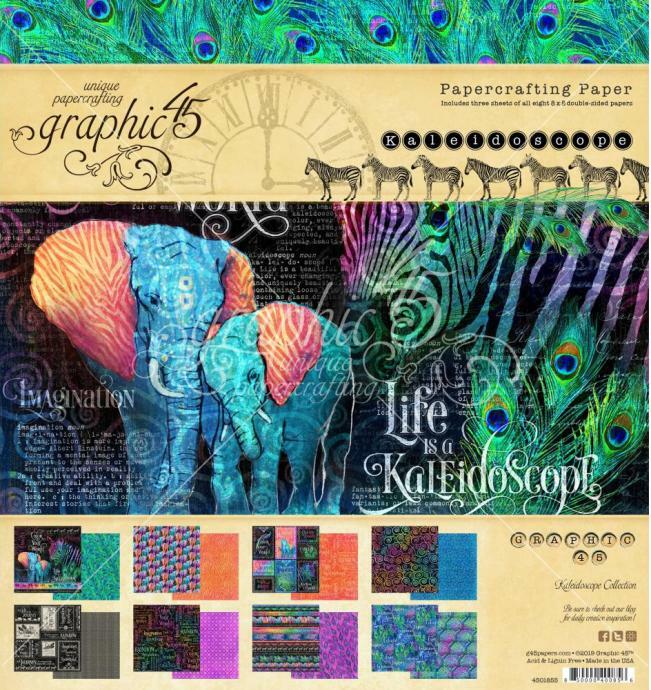 This kit is based on the stunning "Imagine" collection by Graphic 45, and comprises all the patterned papers from that range, as well as corrdinating cardstock and embellishments. 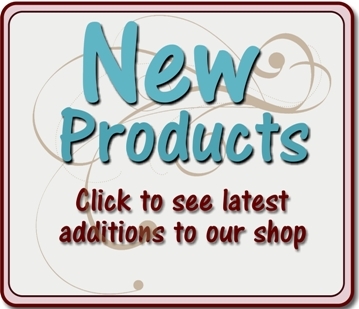 Please note that there are no project examples with the kit as yet. 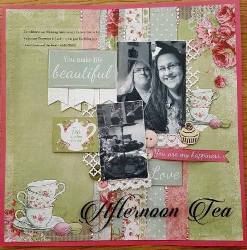 Canvas drawstring bag filled with metal embellishments, cabachon, resin clock, plus Kaisercraft pearl strips in Champagne Pink and Chocolate. 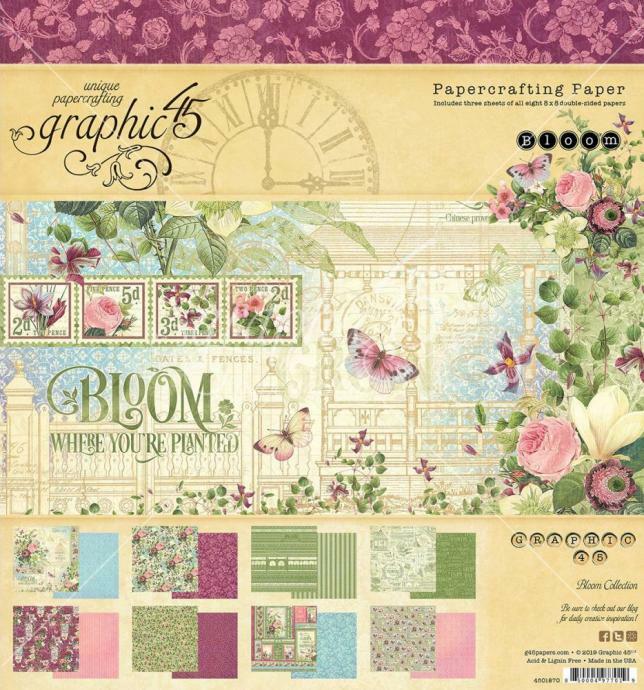 includes brad for die-cut clock set and large brad for gears. 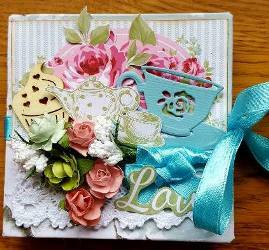 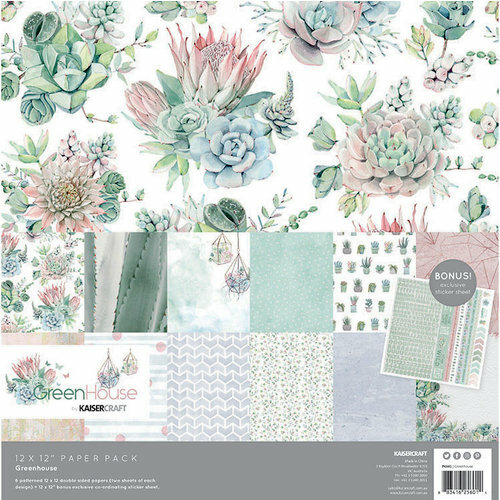 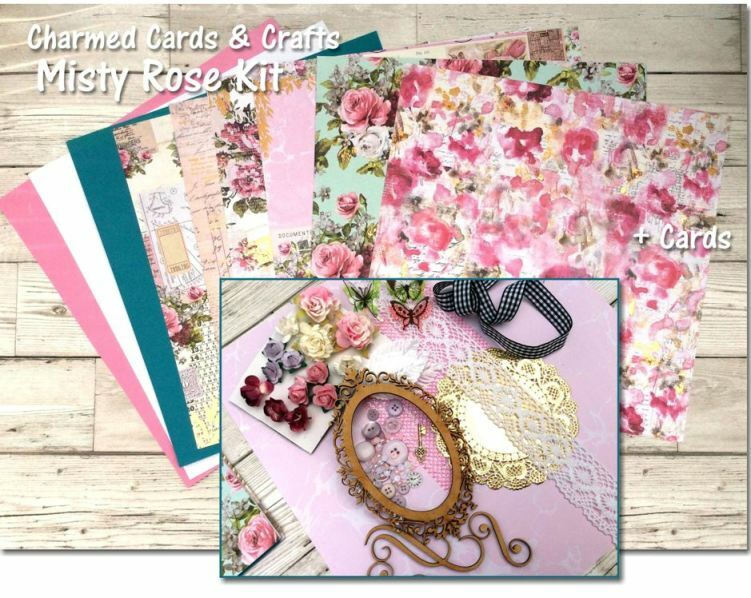 This kit is based on the beautiful "Misty Rose" by Prima Marketing, and comprises patterned papers from that range, as well as corrdinating cardstock and embellishments. 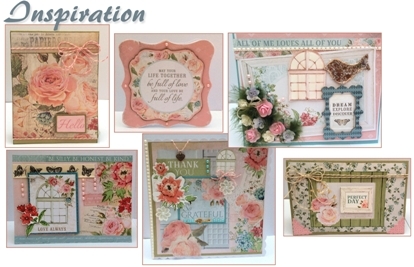 Along with the kit you will receive instructions on how to complete two layouts for inspiration, these instructions will be emailed through to you when you purchase the kit and will also be available online. 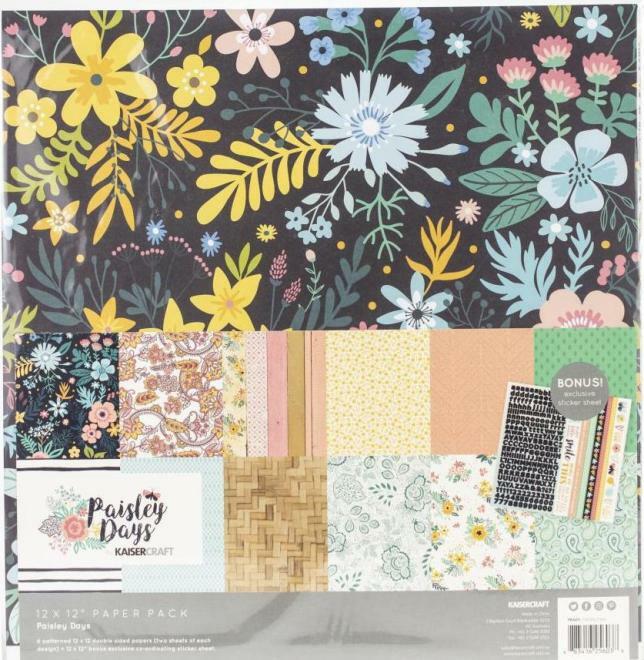 Not included in kit: Crackle Paste, Thread for sewing edges. 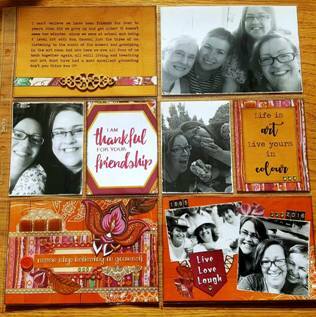 Note that the laser cut chipboard may have a freshly cut smell. 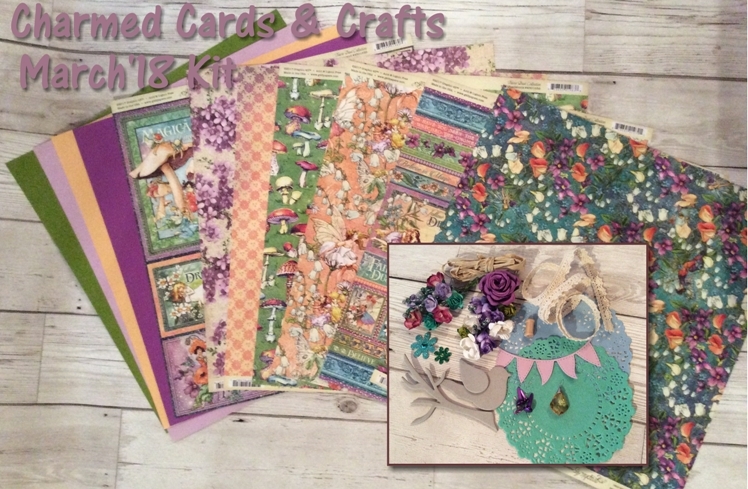 The March kit comprises papers from Graphic 45's beautiful Fairie Dust collection. 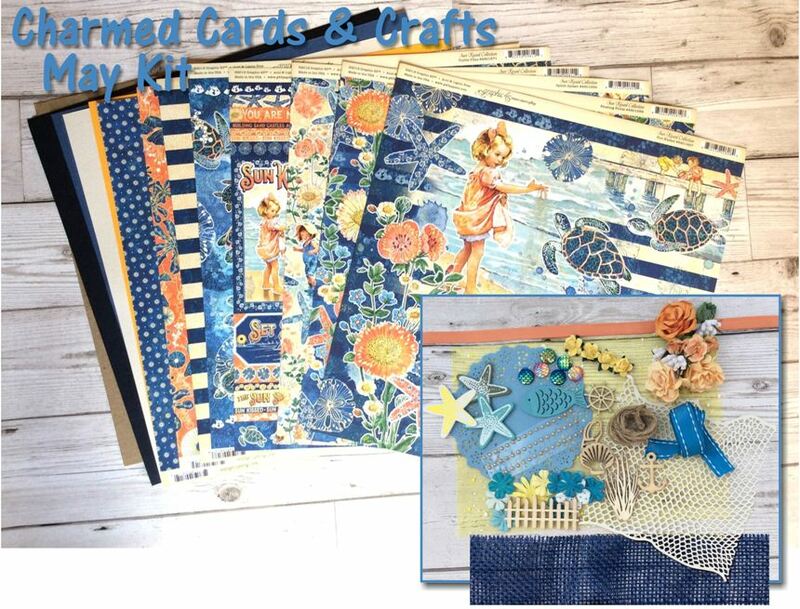 Along with the kit you will receive instructions on how to complete two layouts for inspiration, these instructions will be emailed through to you when you purchase the kit and will also be available online, along with card examples. 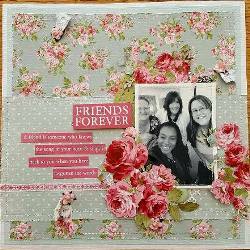 1 die-cut Banner cut in Blossom Kaisercard. 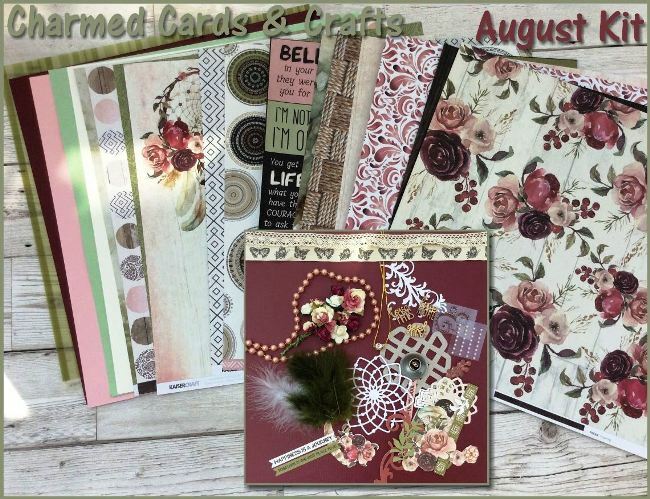 Two beautiful flower bouquets we have put together that you can use as they are, or pick apart and use separately, they include: Turquoise Pearl picks, Blossoms in white, claret and purple, Roses in lime, turquoise and lavender, and one Kaisercraft Bloom. 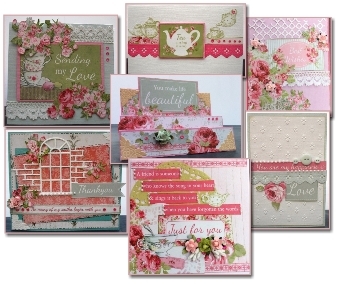 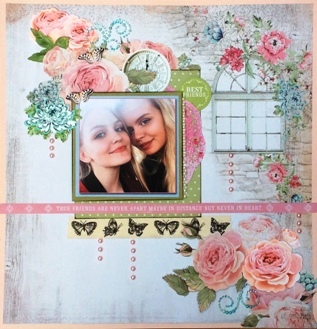 The January kit showcases the beautiful Rose Avenue collection by Kaisercraft. 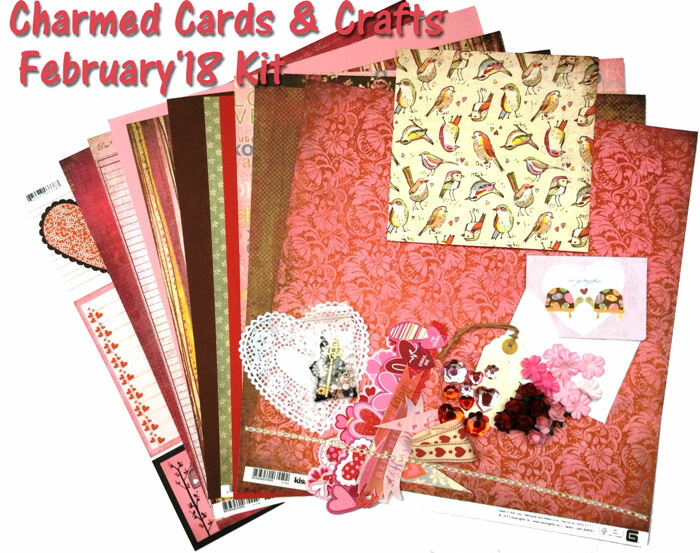 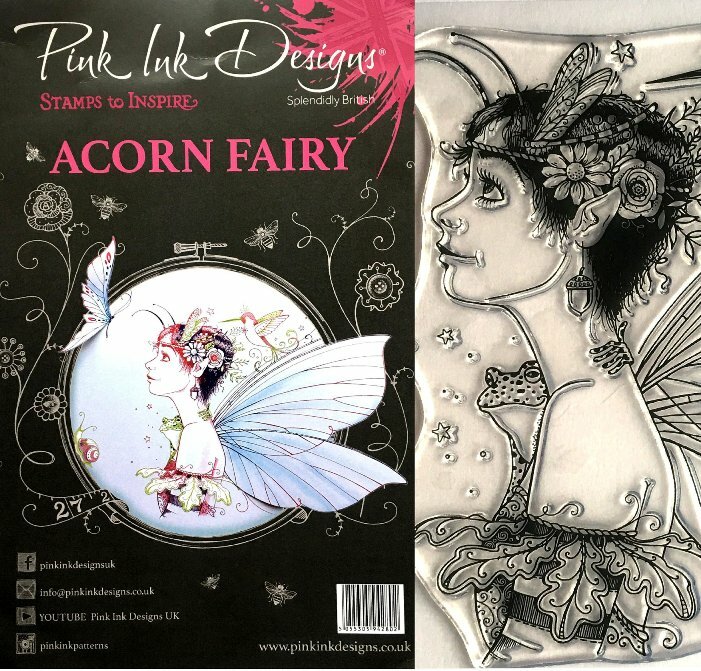 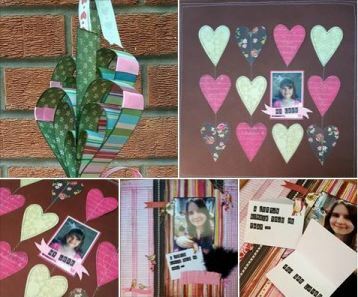 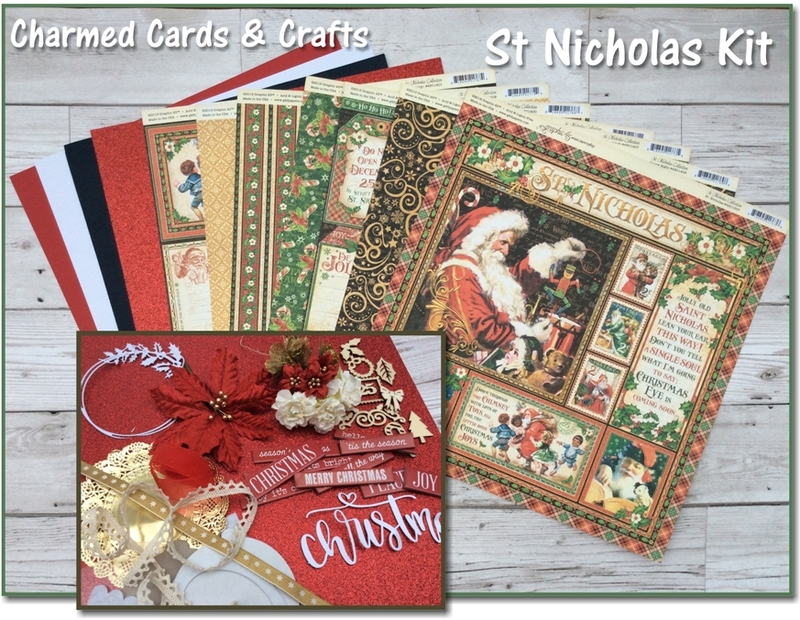 Along with the kit you will receive instructions on how to complete a layout and cards for inspiration, these instructions will be emailed through to you when you purchase the kit. 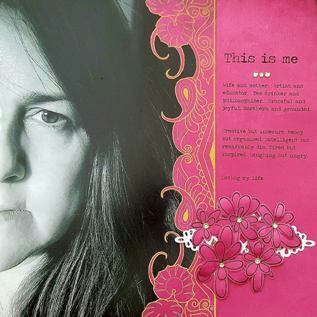 PEARLS: 60 pearls - 20 each in blue, pink and white. 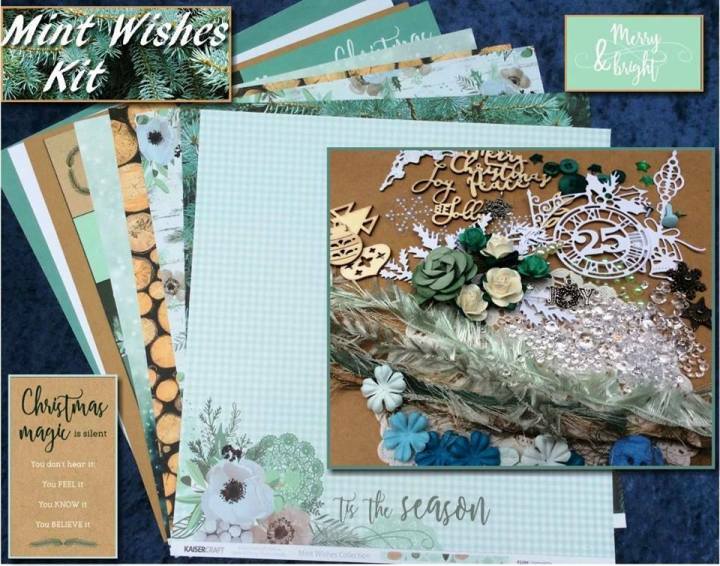 The November kit showcases the lovely Mint Wishes collection by Kaisercraft. 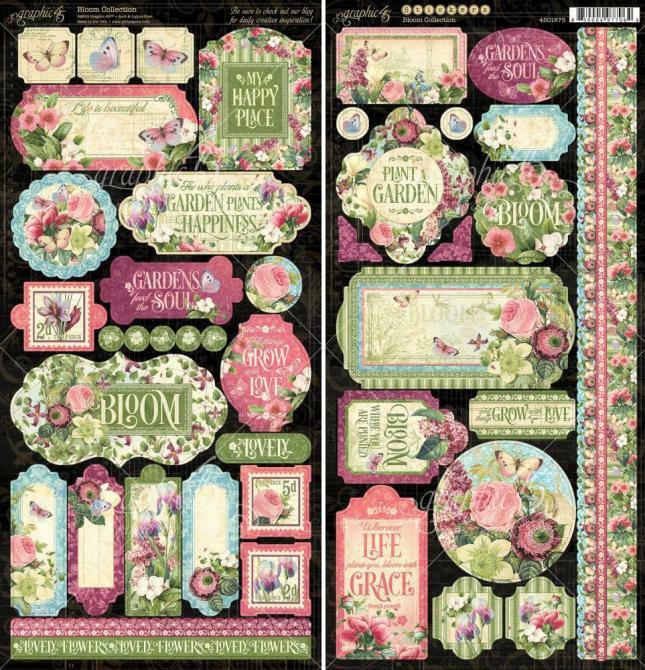 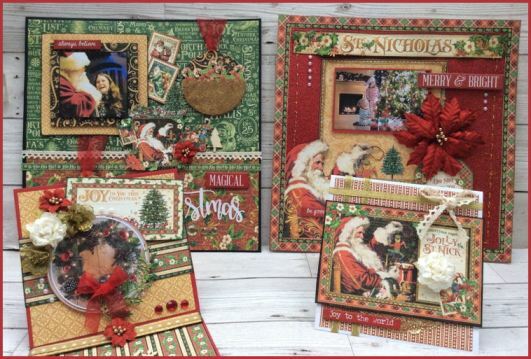 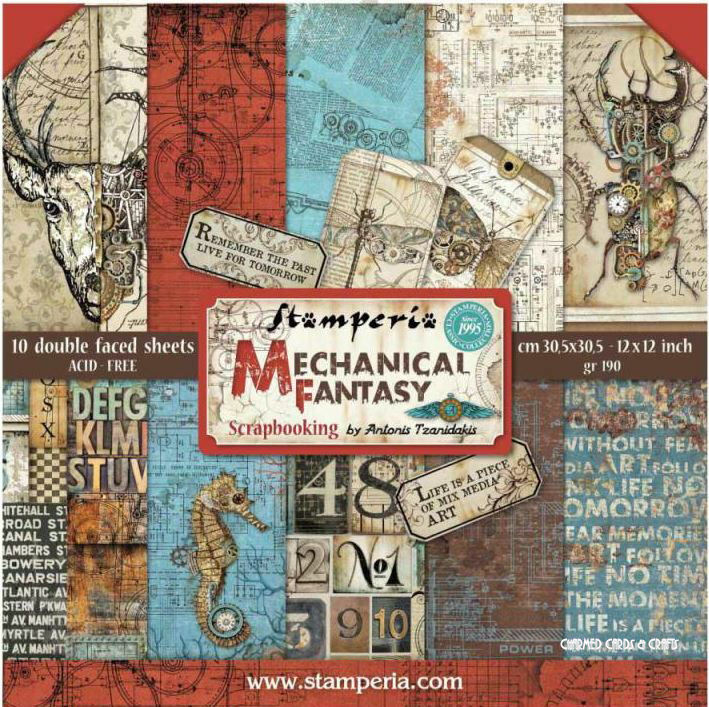 You will receive instructions on how to complete two layouts by Karen Mortensen, these will be emailed through to you when you purchase the kit. 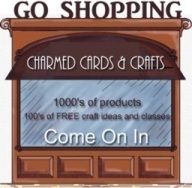 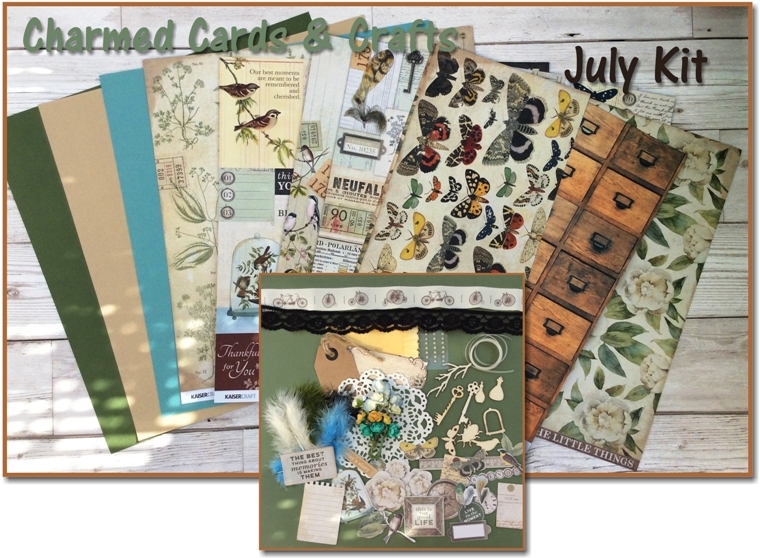 The July kit from Charmed Cards & Crafts comprises the fabulous papers from Graphic 45's Master Detective, and a selection of die-cuts, embellishments and ribbons. 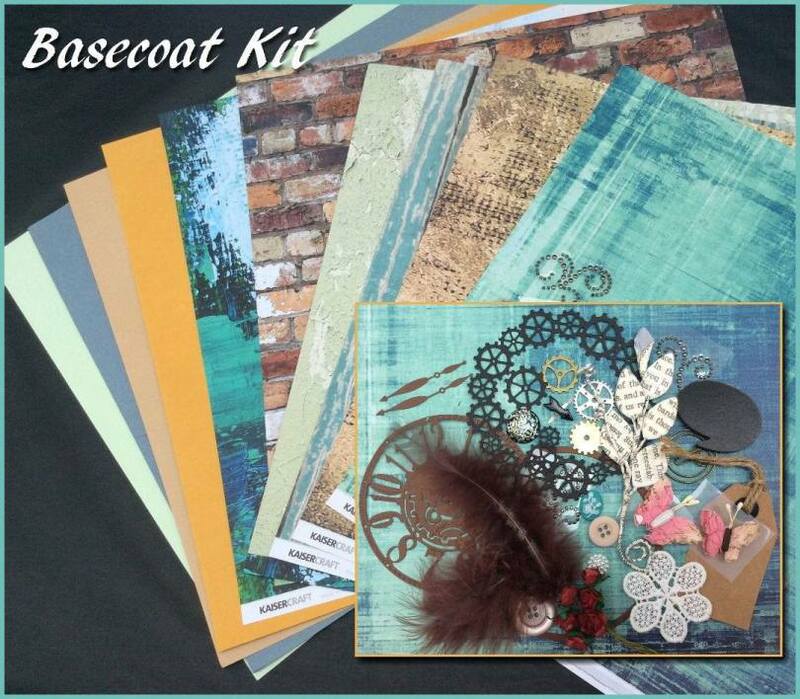 Plus we are providing a plethora of projects using the kit to inspire. 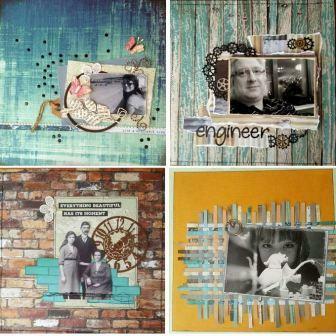 6 1/2 Master Detective Papers. 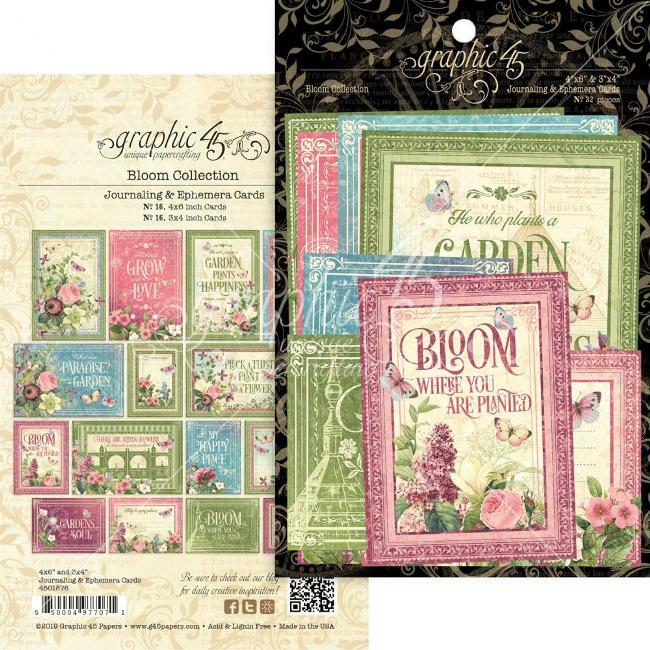 Embellishments: Black web ribbon - Apricot Crossgrain ribbon - Die-cut pieces to compliment the papers - Black Marabou Feathers - Metal Charms, including two skulls, Clock Face, two metal keys , two large metal corners- Prima crystals - 3 Prima Sultan Gems - 3 Prima Velvet Rainbow flowers - Kaisercraft Bloom - Petaloo Burlap Sunflower - Thread Tassel - Black pearls - Mini Epoxy Clock - velvet alphabet stickers. 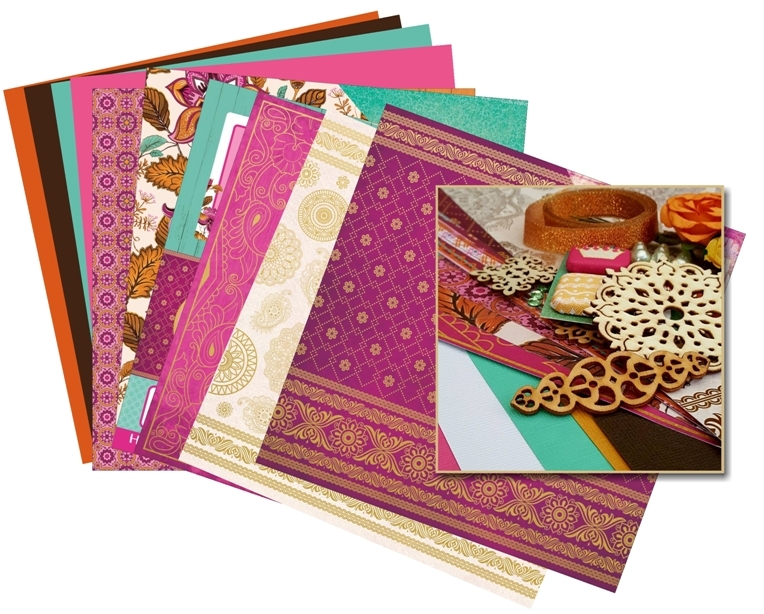 A beautiful kit comprising Bombay Sunset papers, plain cardstock, and coordinating embellishments. 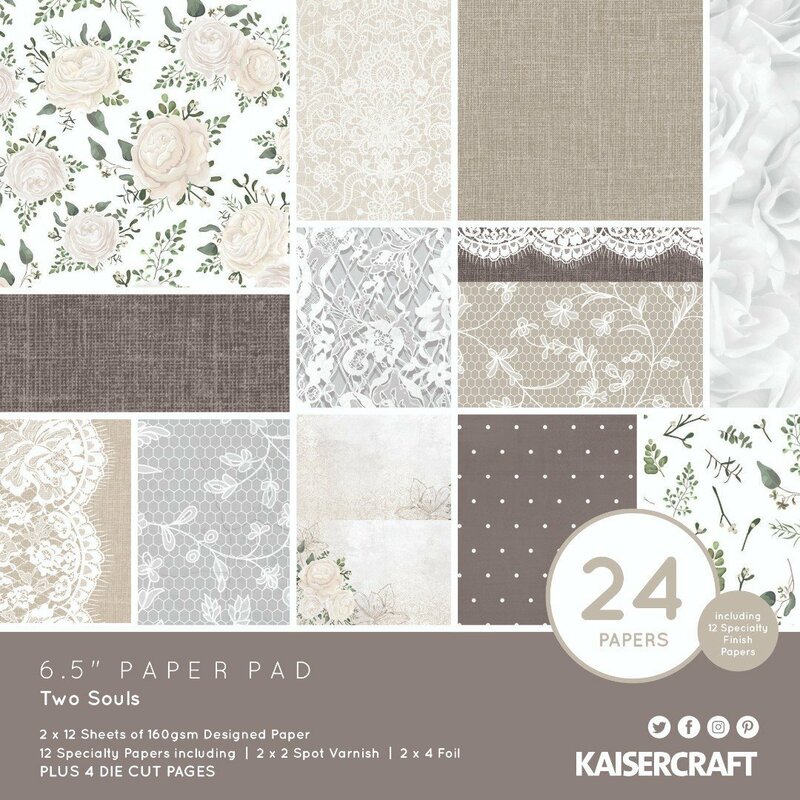 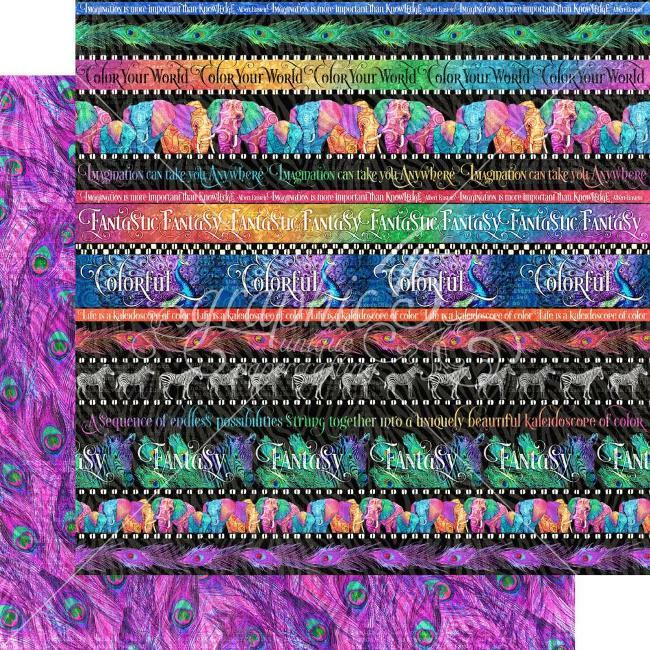 6 Kaisercraft 12x12 papers from the Bombay Sunset collection. 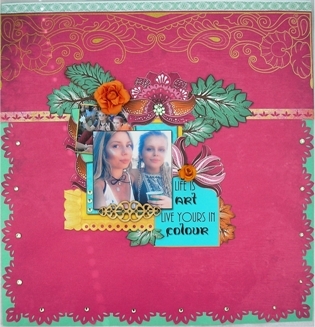 1/2 sheet gold foiled speciality paper "Indian Summer"
Embellishments: Gold and Yellow Roses and one large Kaisercraft Bloom, assorted Kaisercraft Mandala Floruishes, 1/2 Pack of Kaisercraft Rhinestones, Large Square Fabric Brads, embellishment pins, tags, doily, marabou feather, die-cut piece, buttons and ribbon.